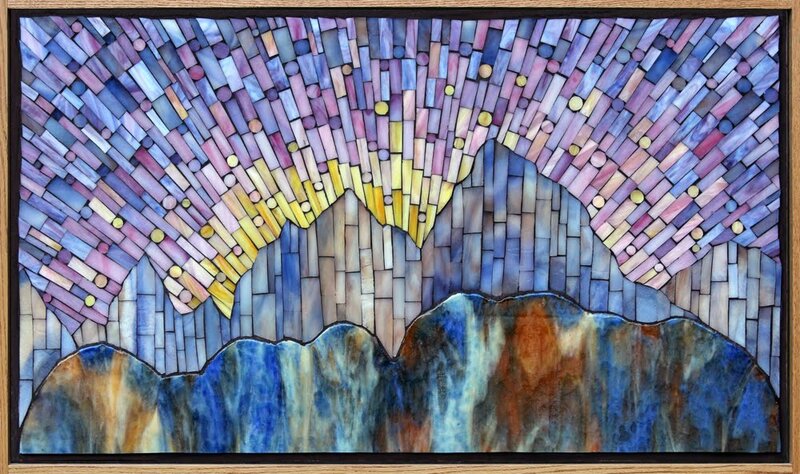 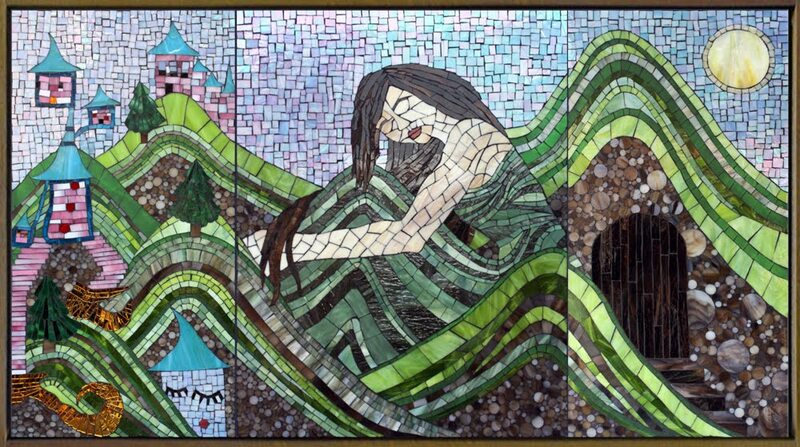 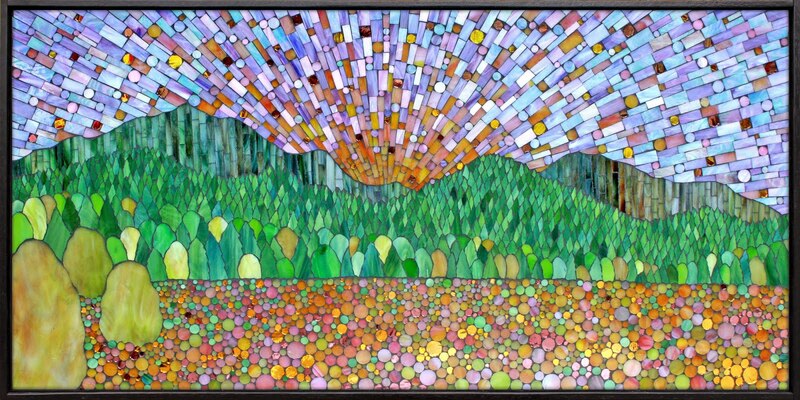 Yesterday, one of my mosaics "Day Dream" was hung at the Gallery of Contemporary Mosaics at the Smith Museum of Stained Glass Windows at Navy Pier in Chicago. 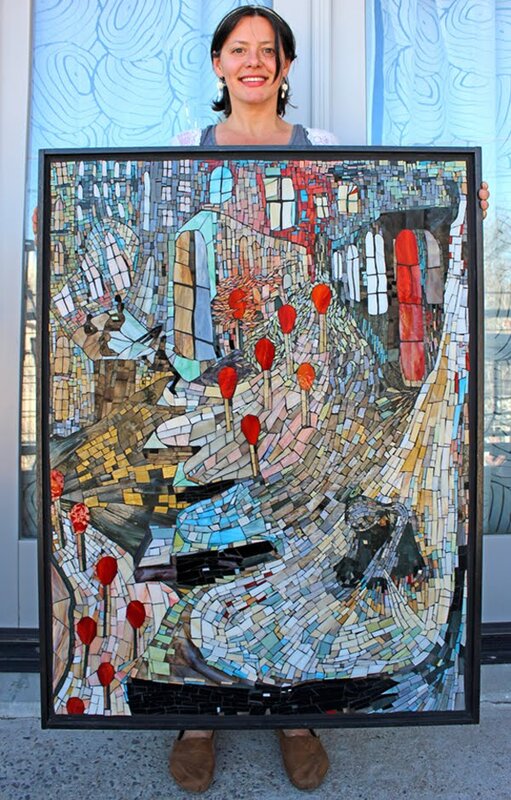 The rotating exhibit is put on by the Chicago Mosaic School in partnership with Navy Pier Chicago. 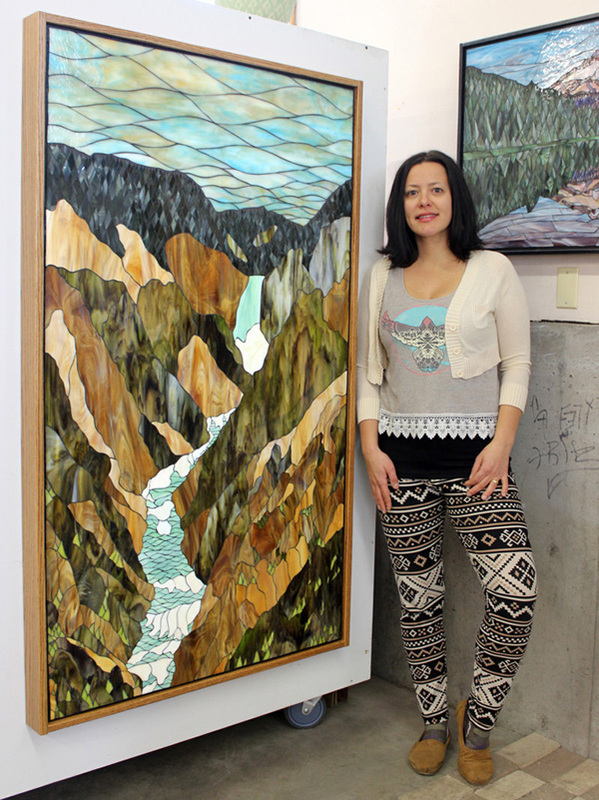 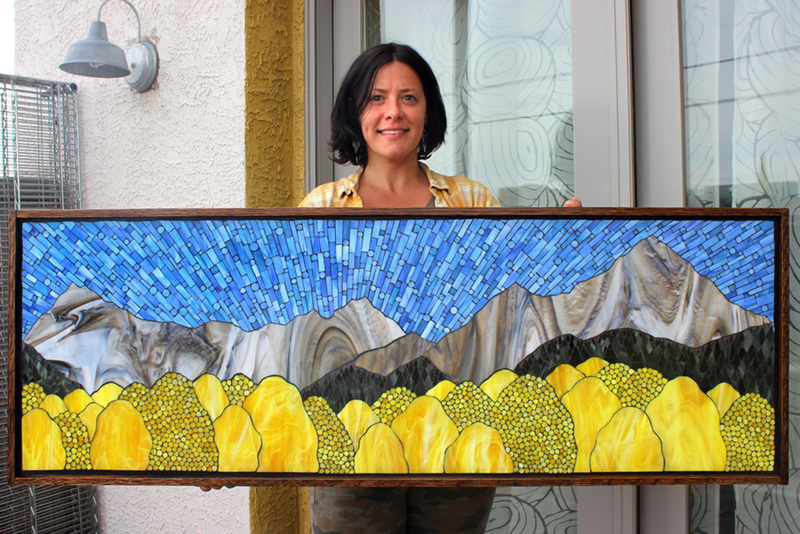 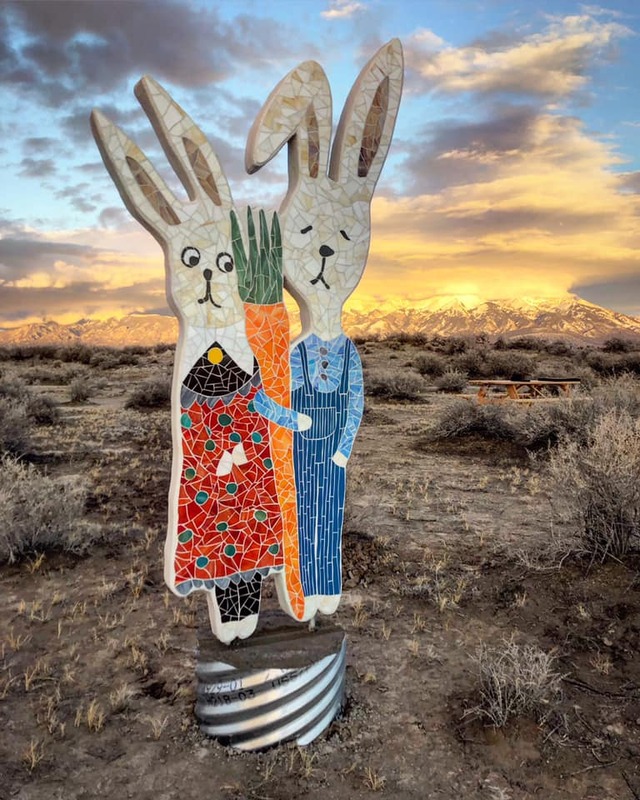 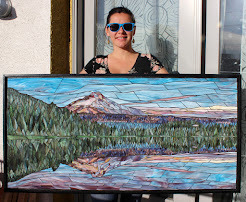 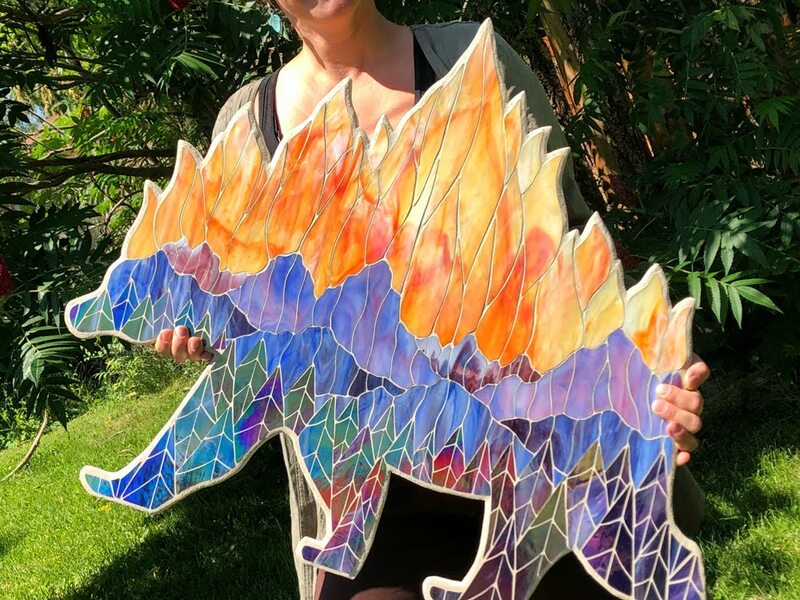 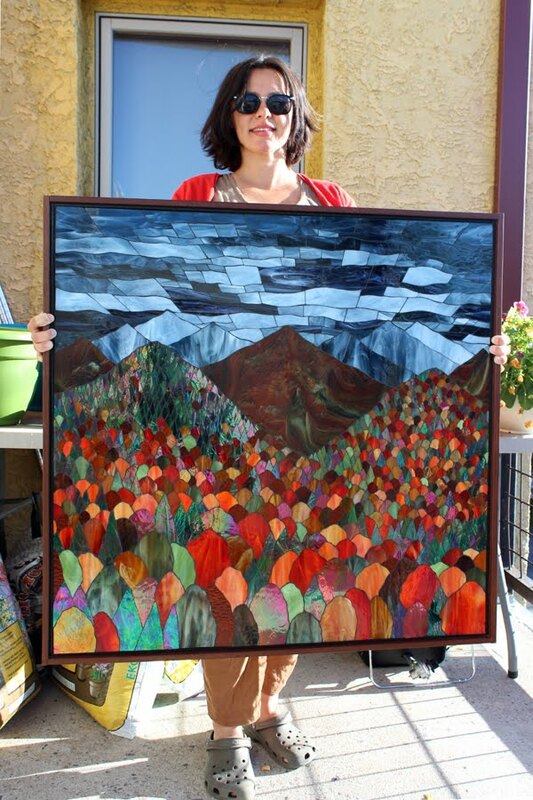 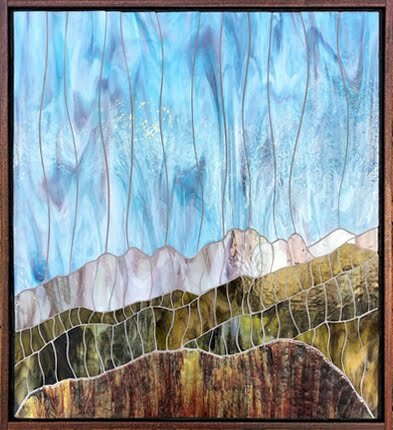 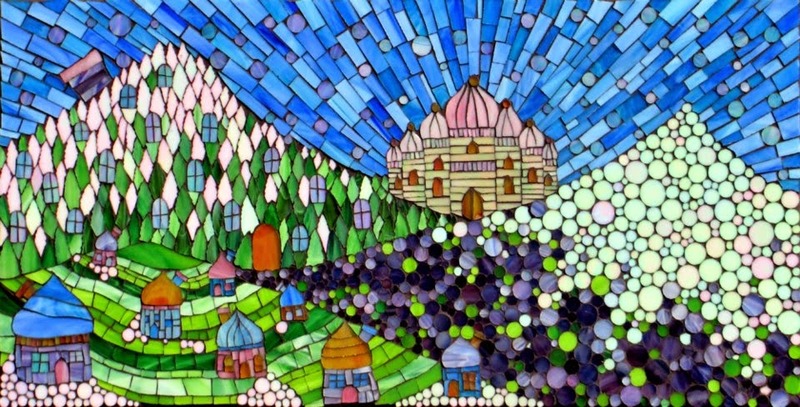 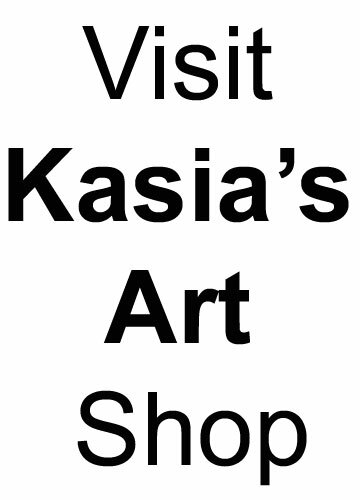 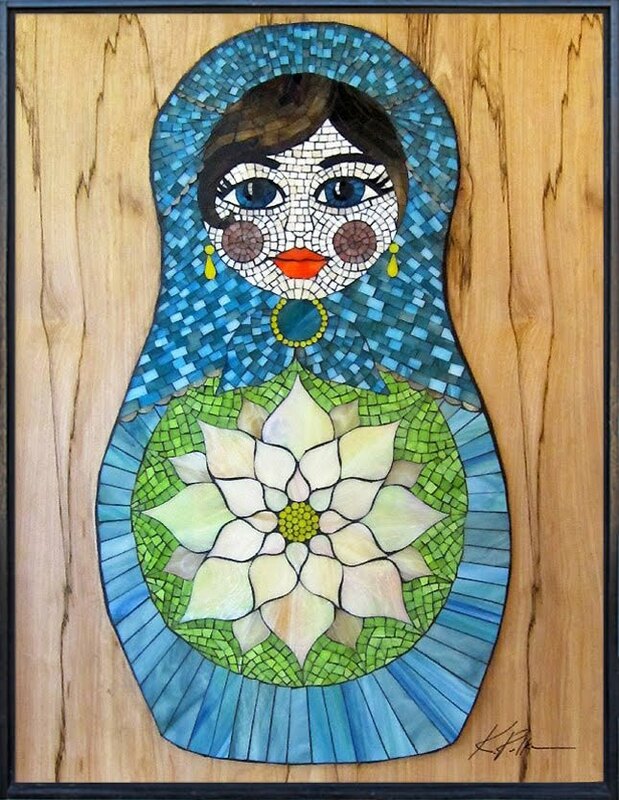 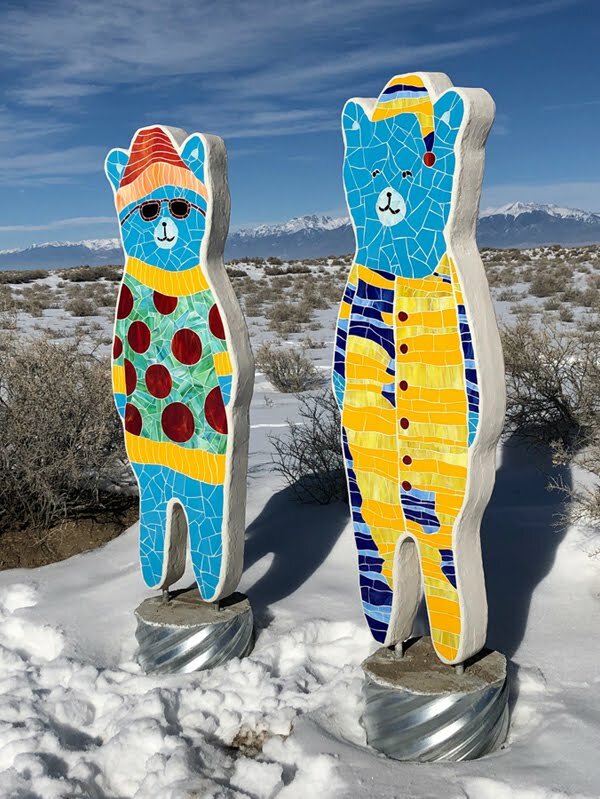 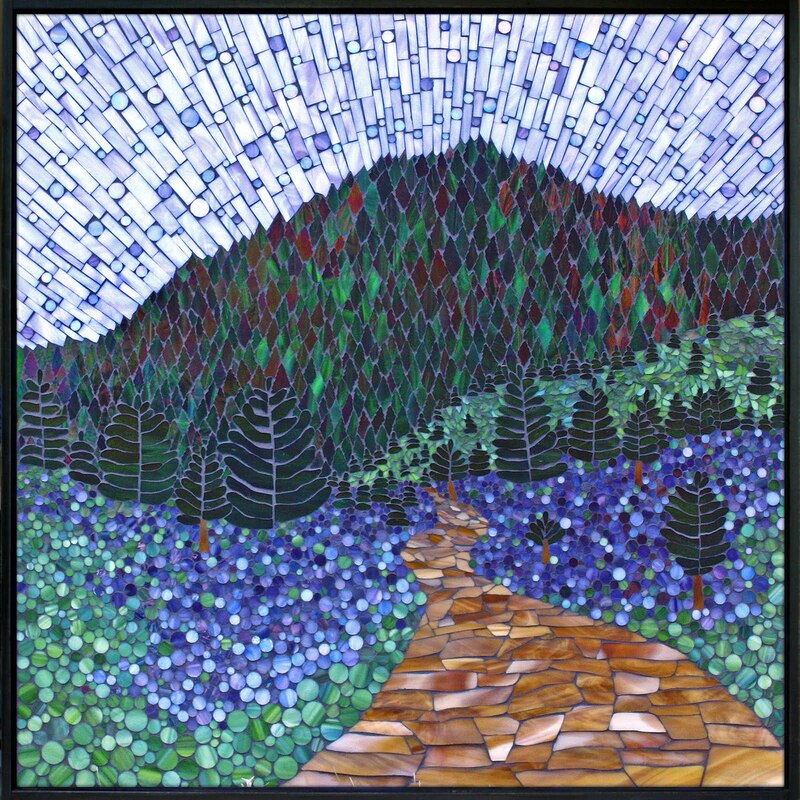 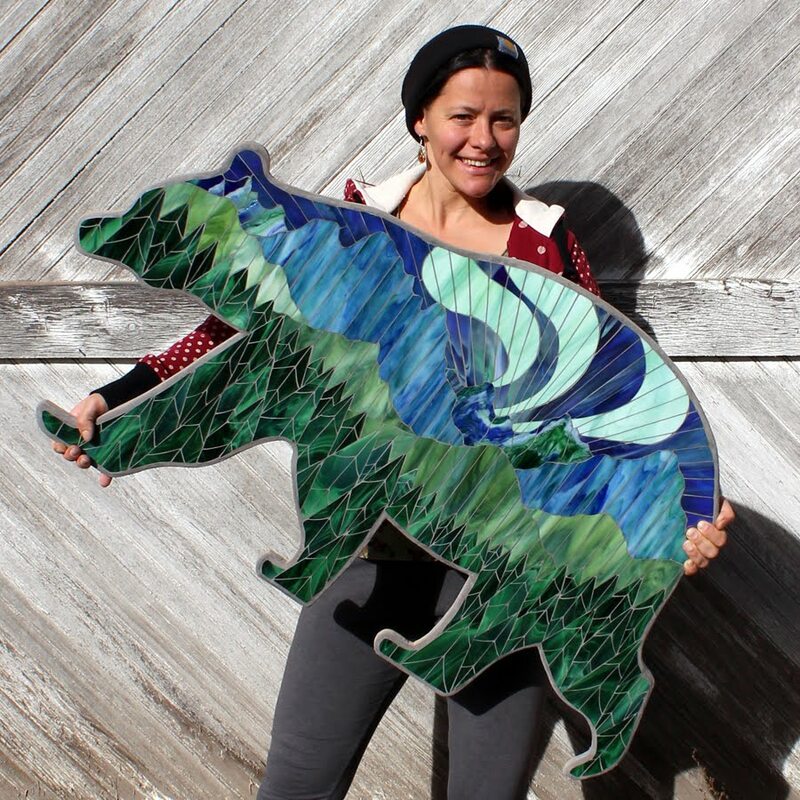 Some of the current exhibiting mosaic artists are: Cody Abbott, Karen Ami, Sue Coombs, Margy Cottingham, Martha Crandall, Sophie Drouin, Carolynn Friedman, Sue Giannotti,Yulia Hanansen, Shug Jones, Gwyn Kaitis, Andryea Natkin, Mateo Randi, Laura Rendlen, Ilana Shafir, Laurel Skye, Diana Stevens, Mireille Swinnen, Conrad Winke, Paul Zanotti, and Dawnmarie Zimmerman. 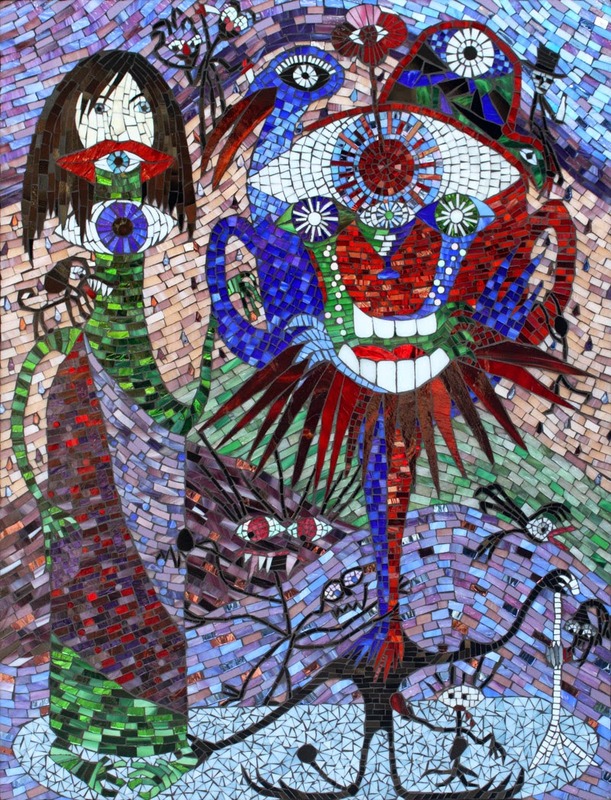 This is such a wonderful and varied collection of mosaics, that I highly recommend anyone in the Chicago area to make it out to the museum and see it. 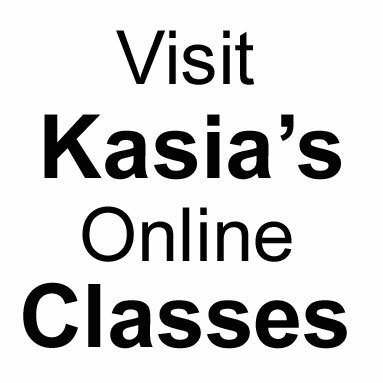 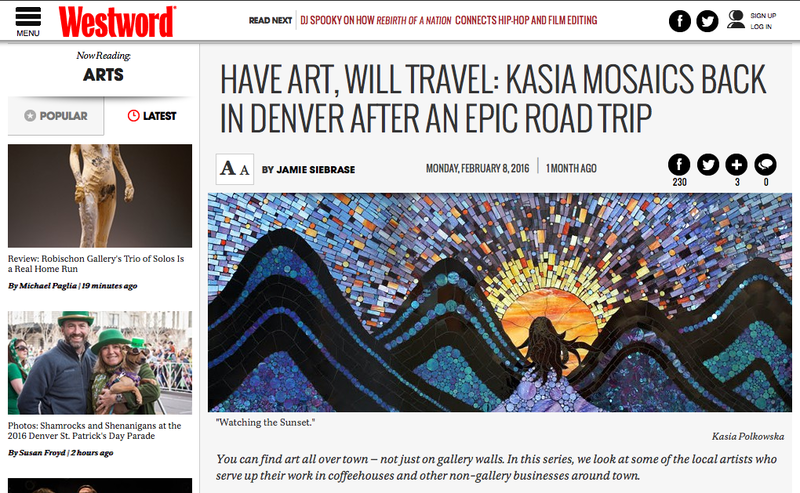 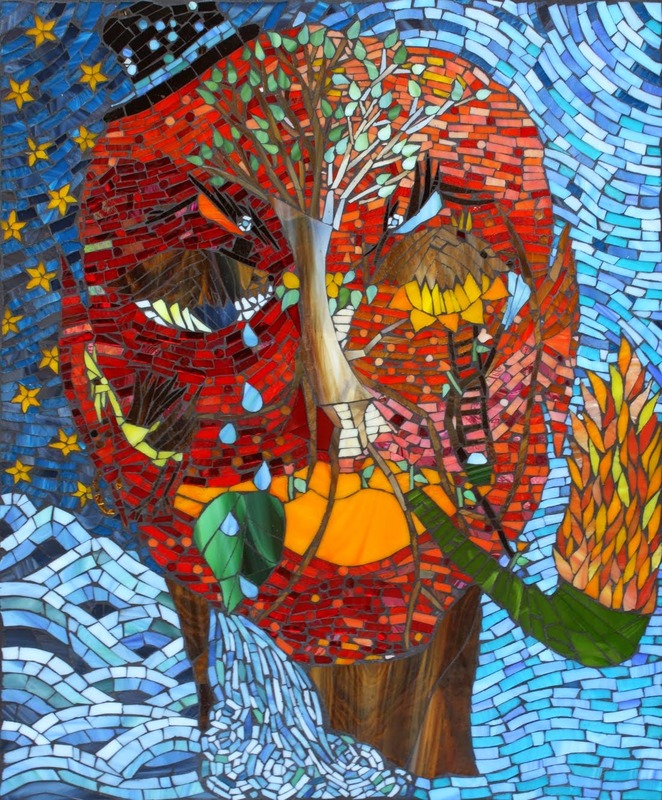 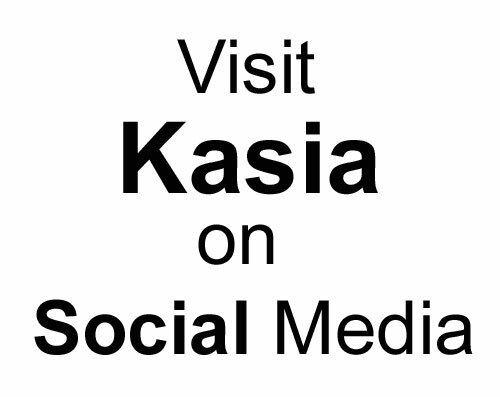 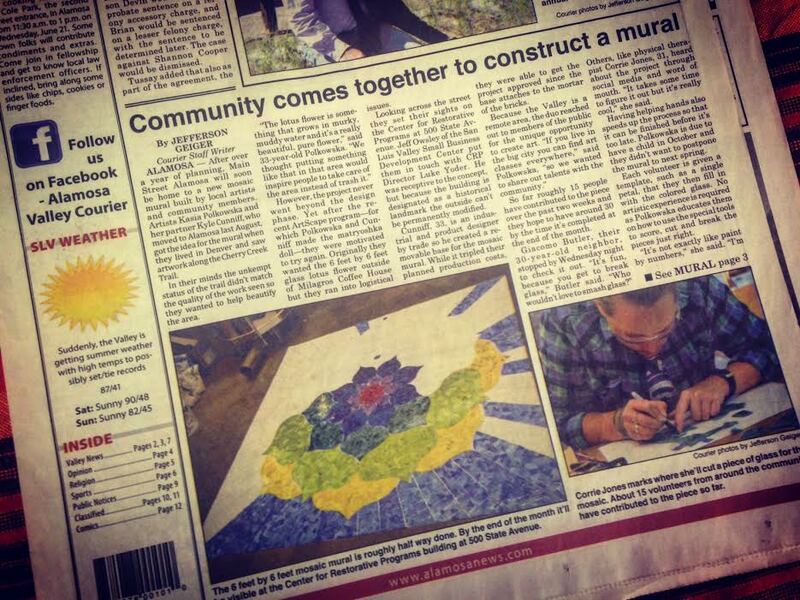 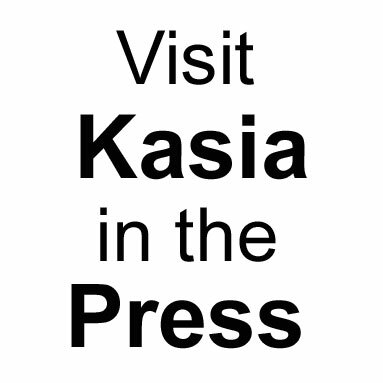 "As part of the mission of The Chicago Mosaic School, The Gallery of Contemporary Mosaics brings the finest contemporary mosaics - from emerging to modern masters - to The Smith Museum of Stained Glass at Navy Pier. 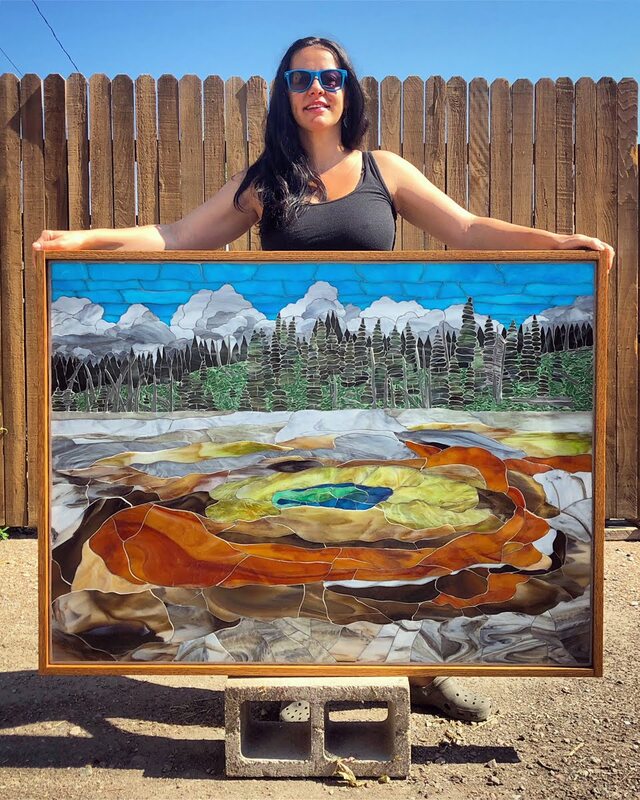 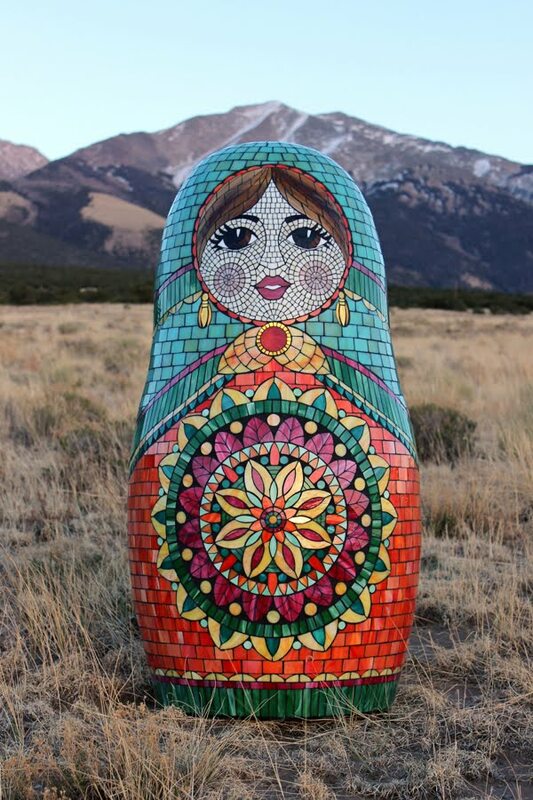 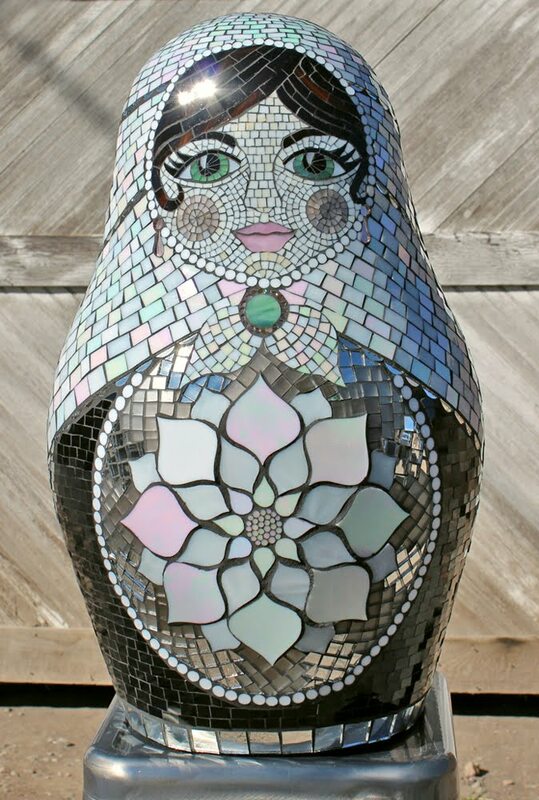 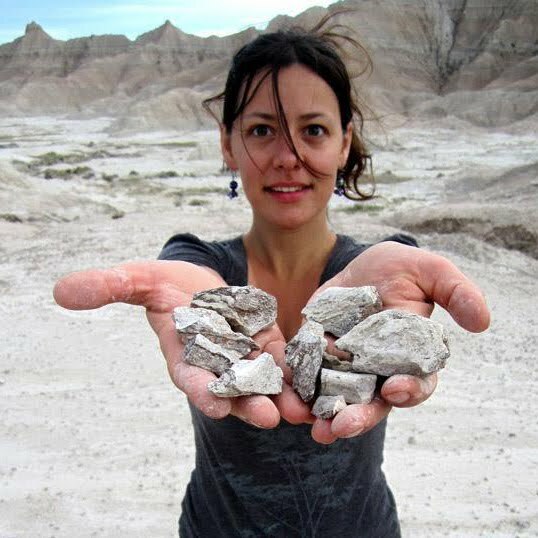 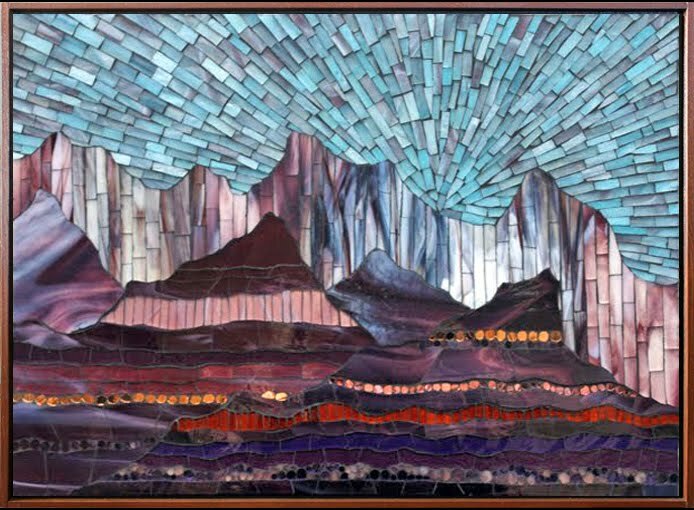 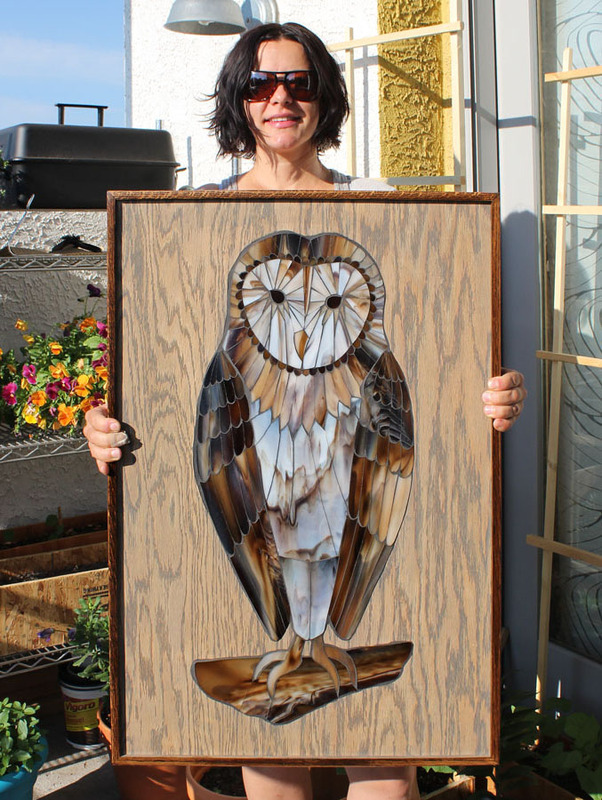 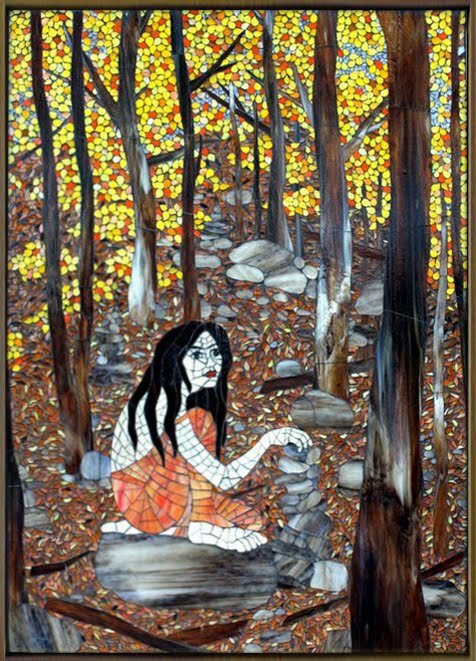 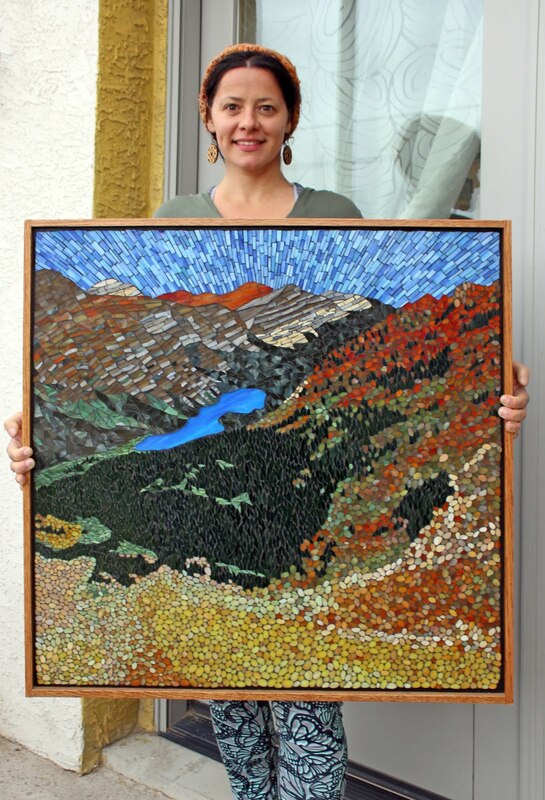 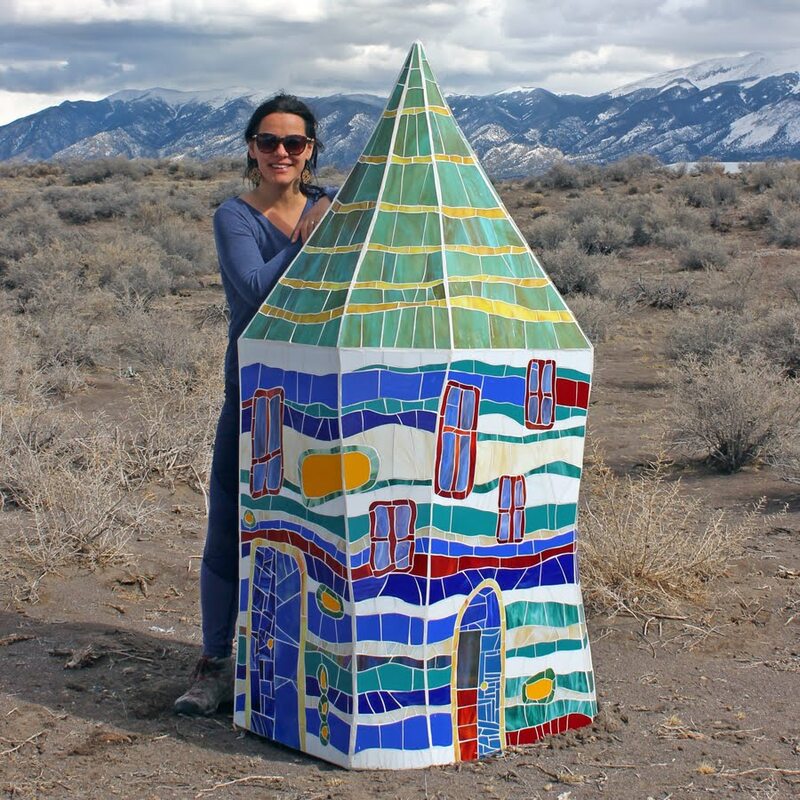 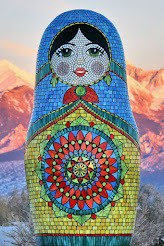 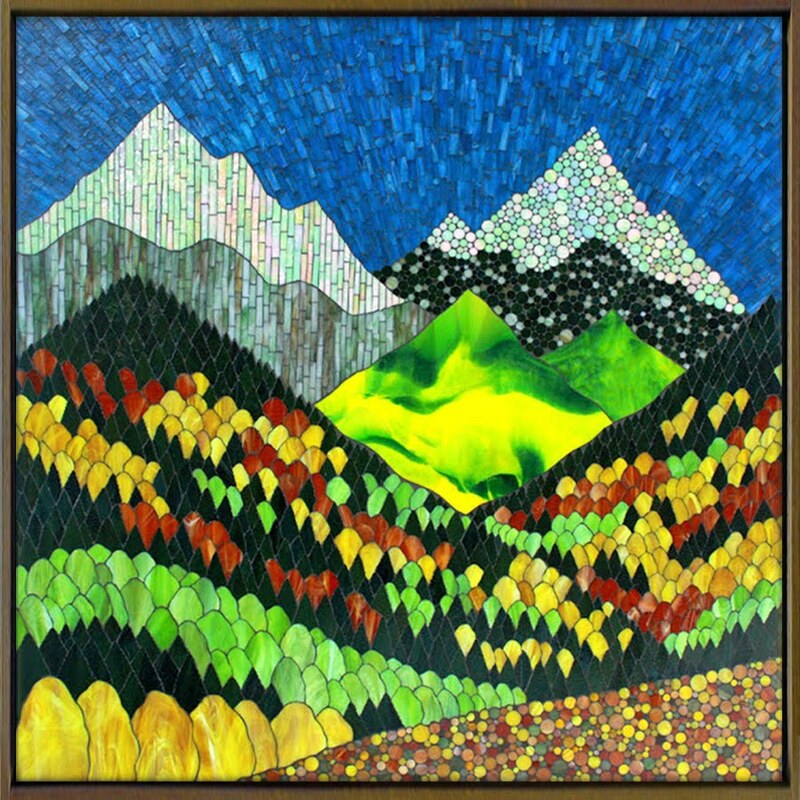 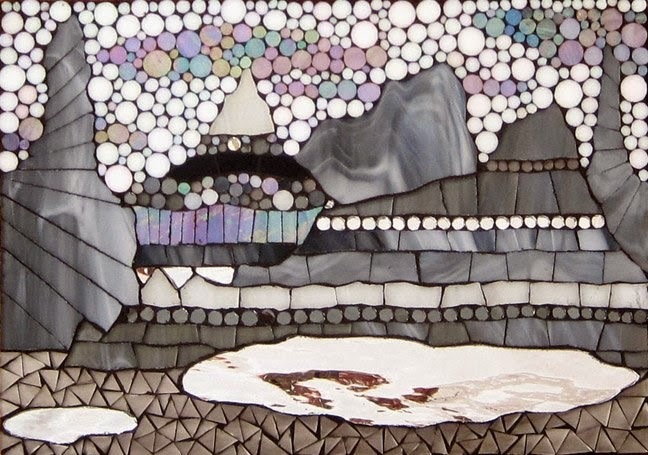 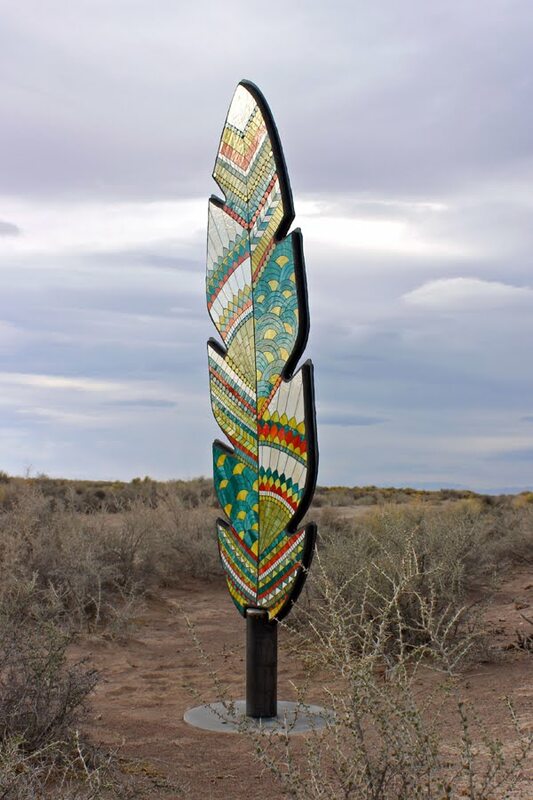 The range of work created by contemporary mosaic artist is broad, from soaring sculptural mosaics to utilizing advanced architectural techniques to the intricate details in micromosaics that are assembled with precision, utilizing a magnifying lens and tweezers. 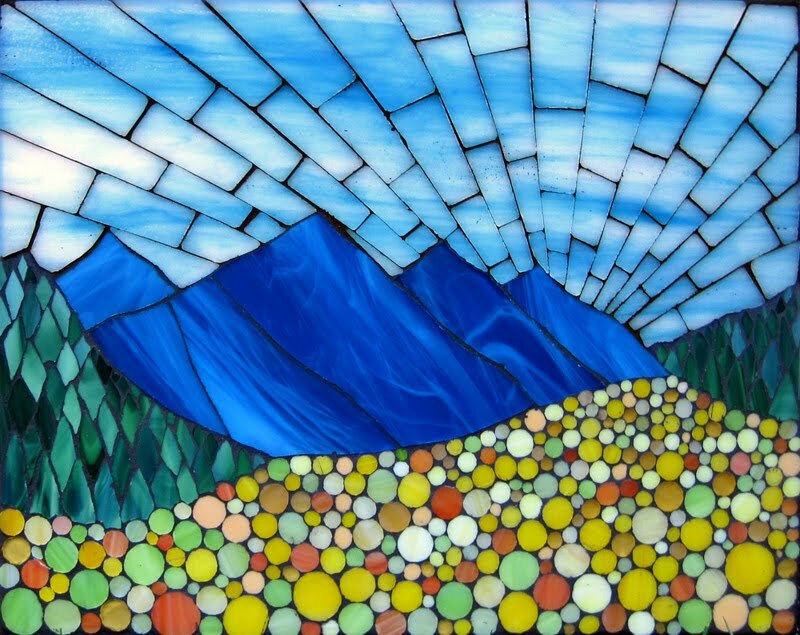 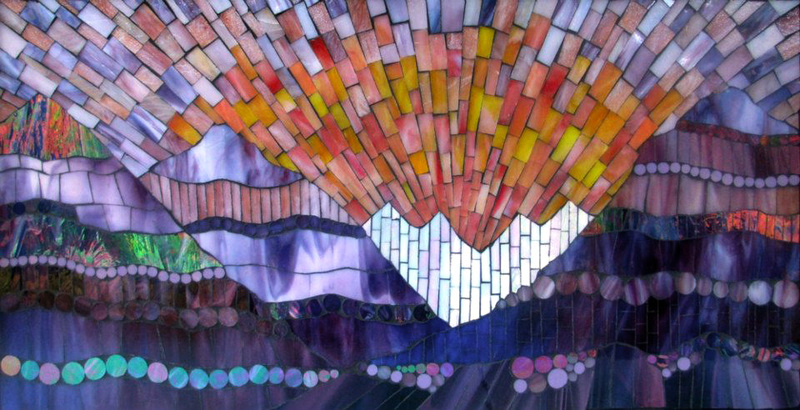 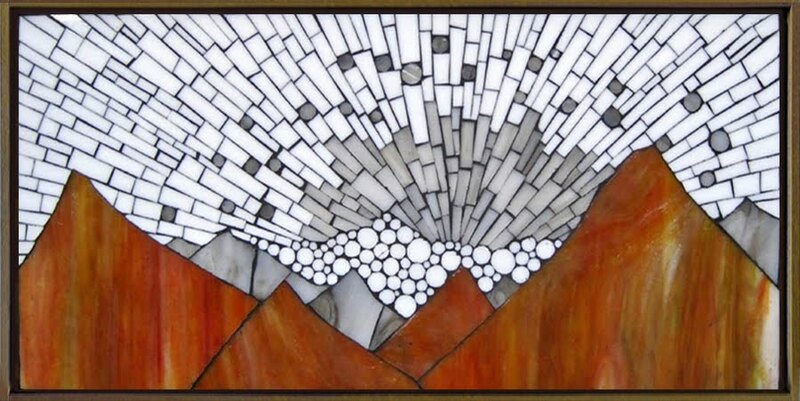 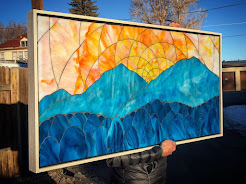 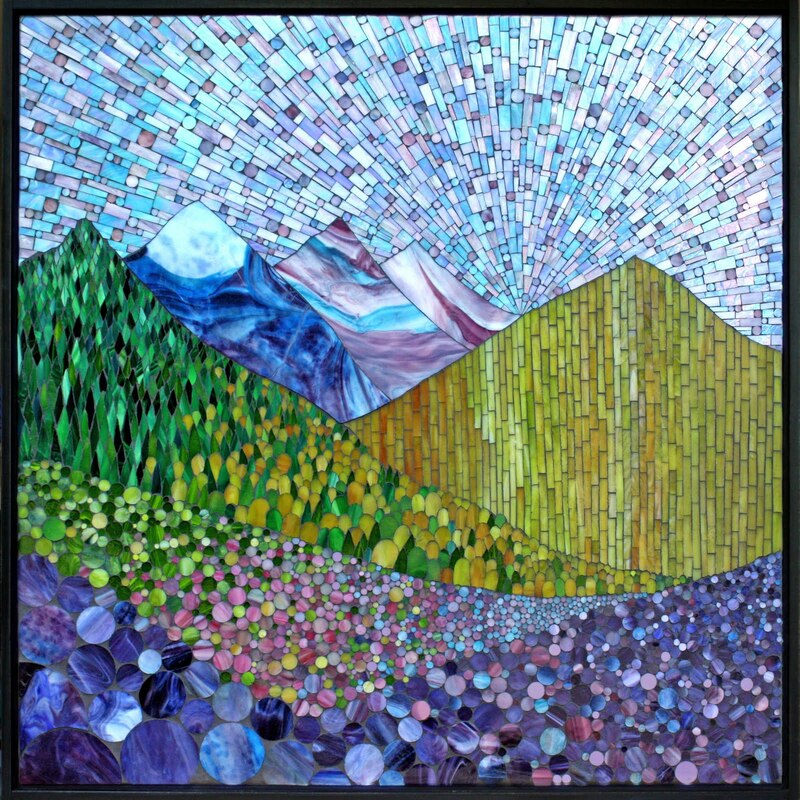 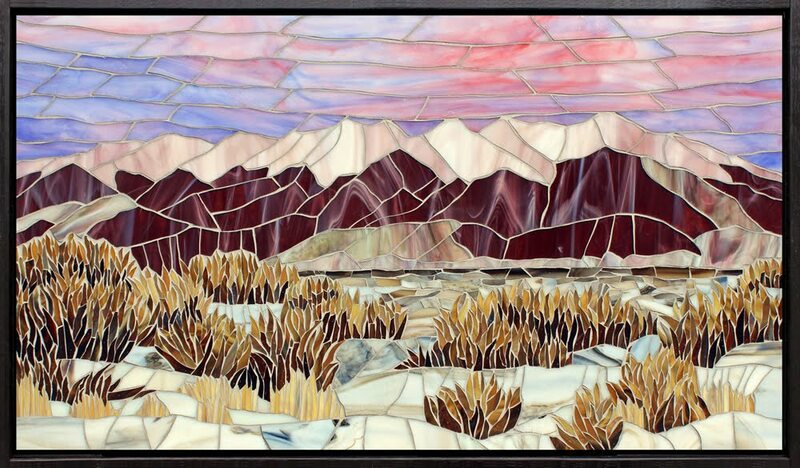 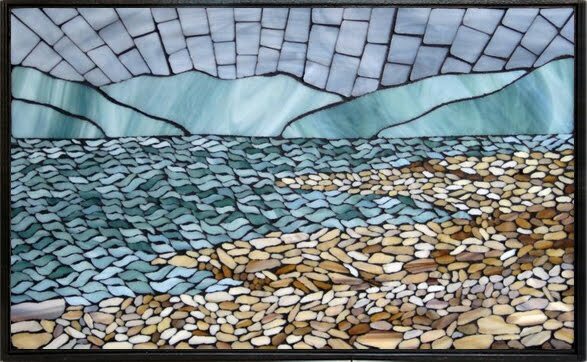 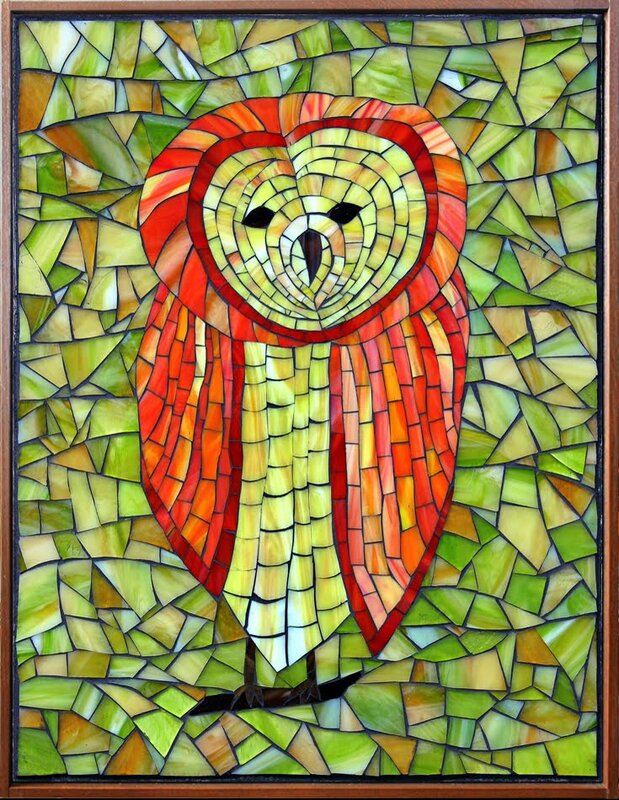 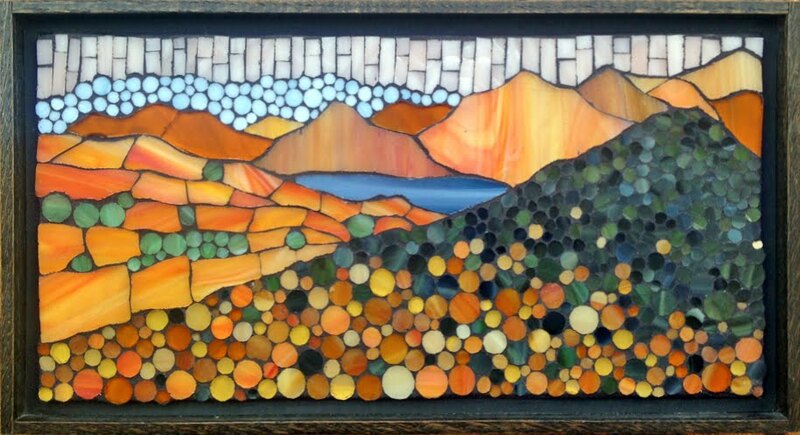 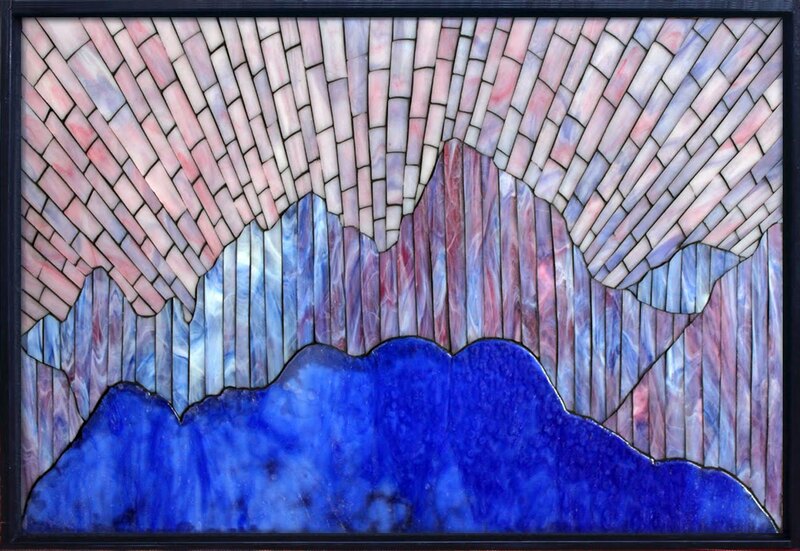 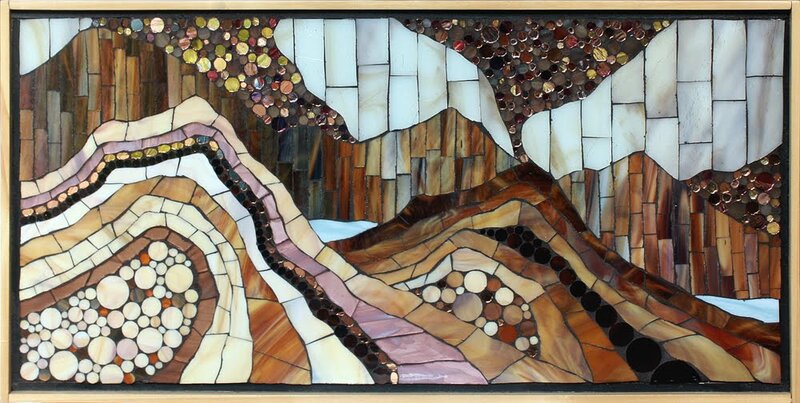 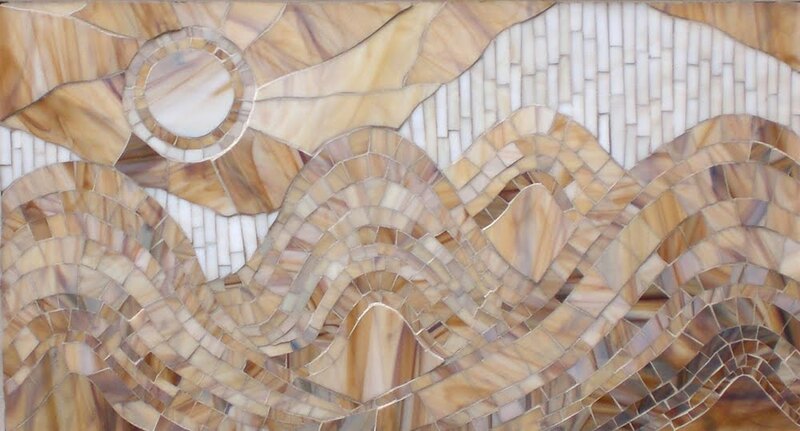 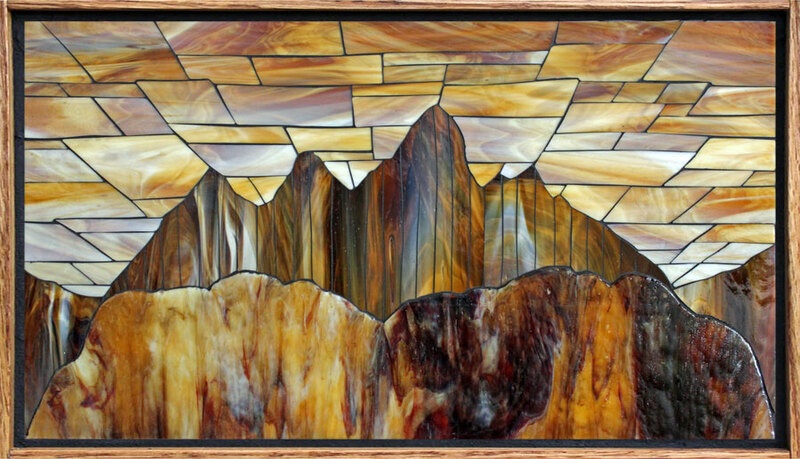 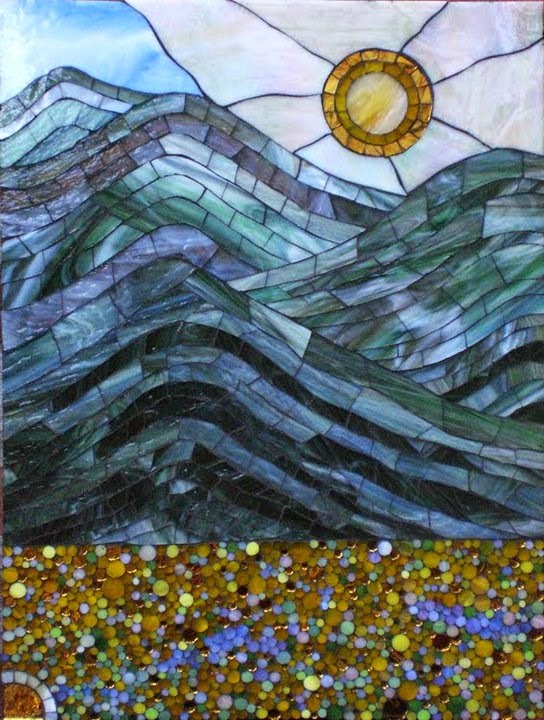 Contemporary mosaic artists use a variety of materials in their work, including vitreous glass tile, Smalti, handmade ceramic tile, porcelain, marble and stone to name a few. 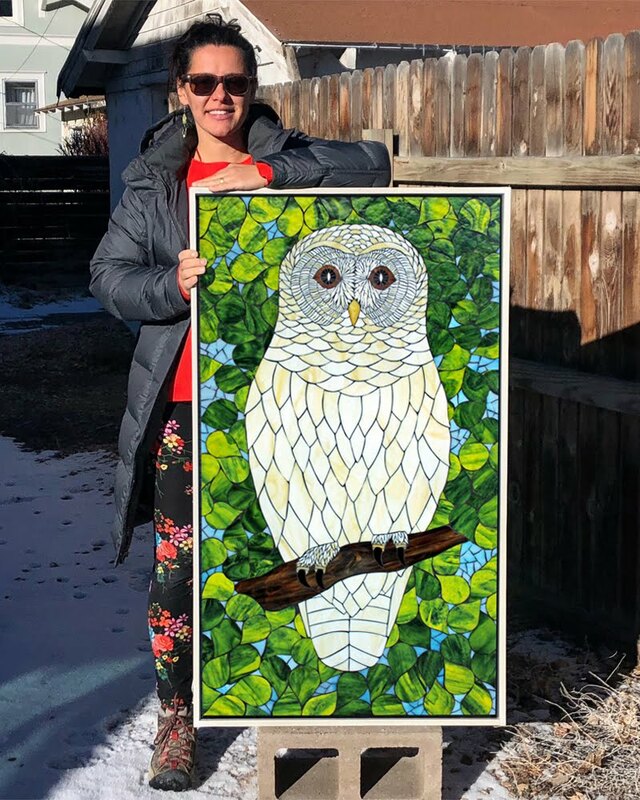 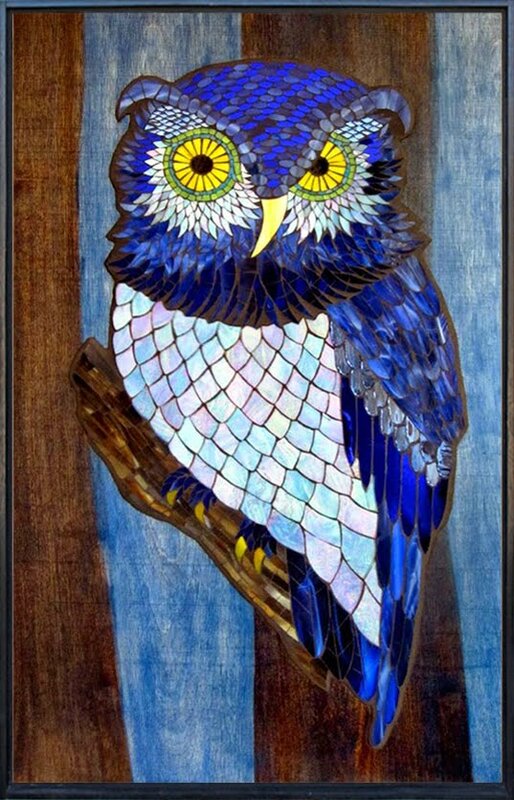 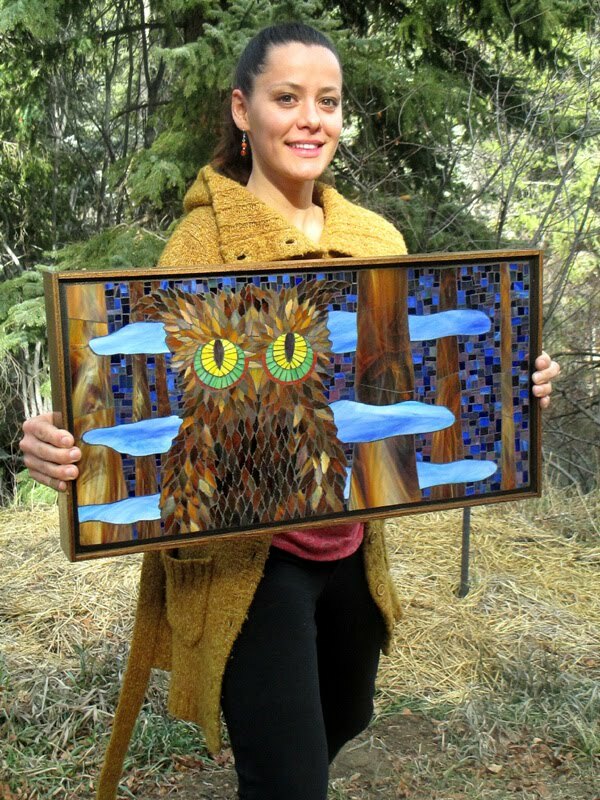 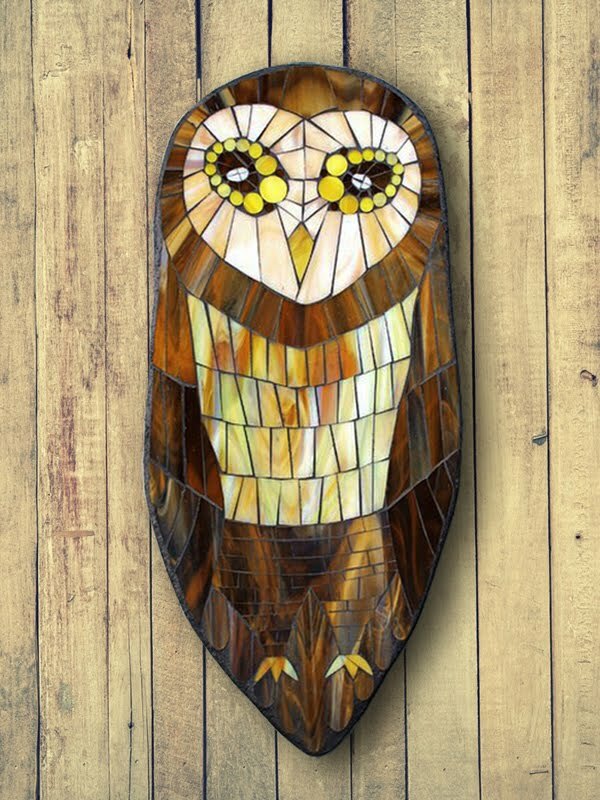 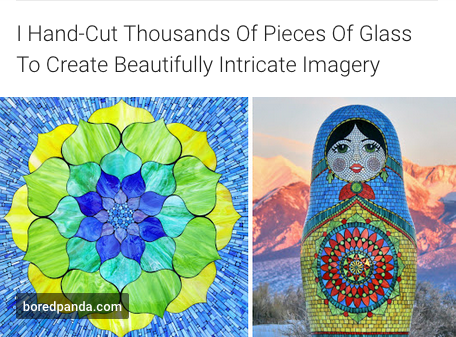 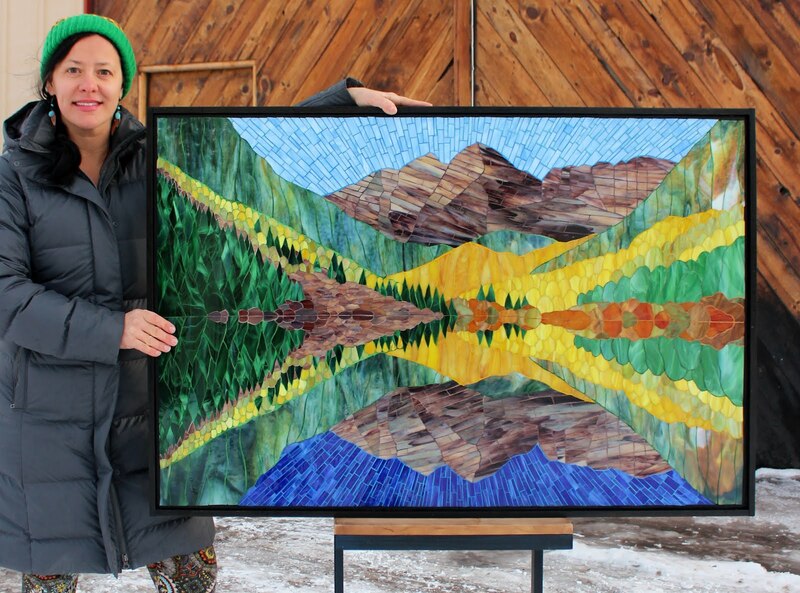 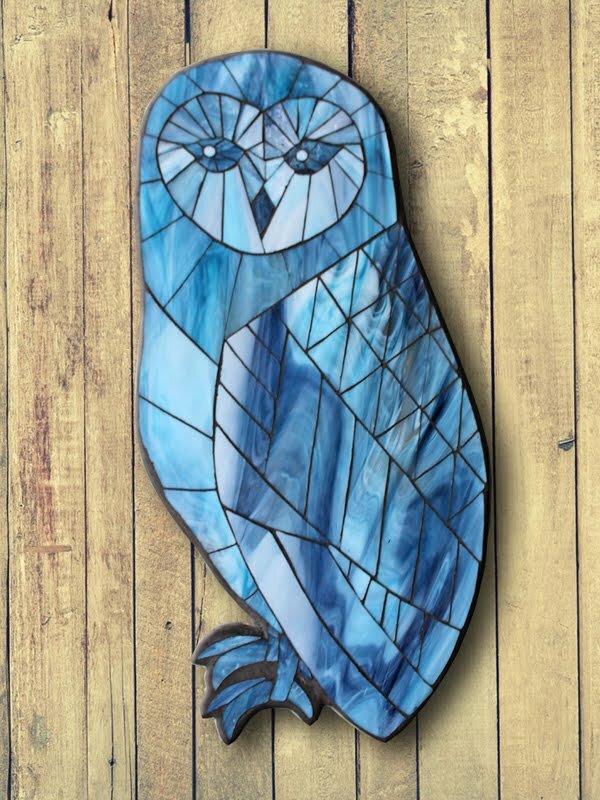 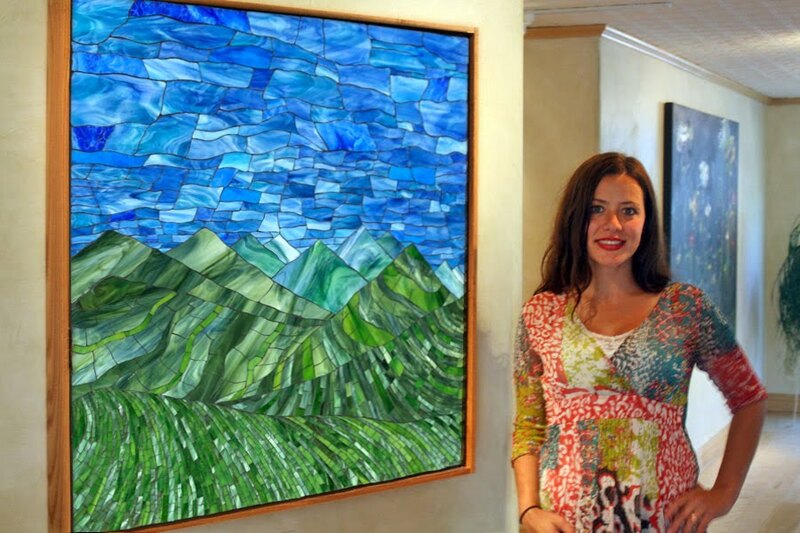 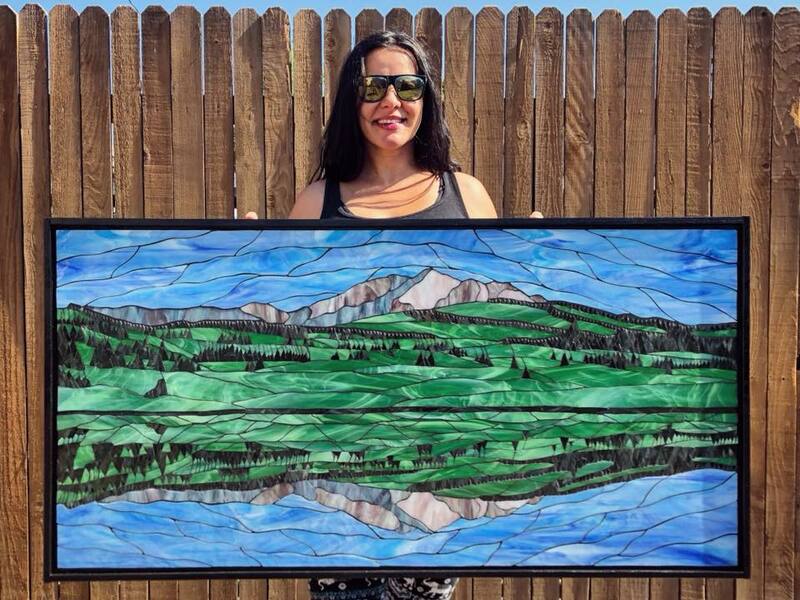 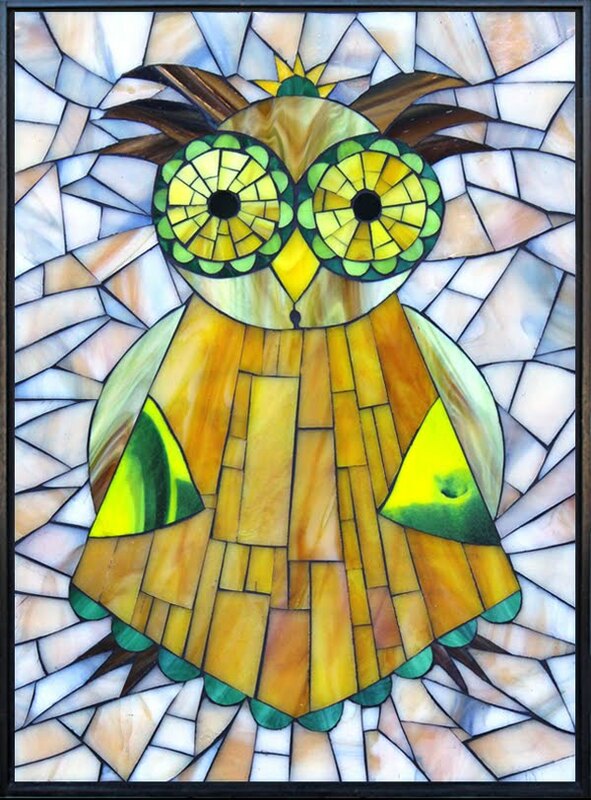 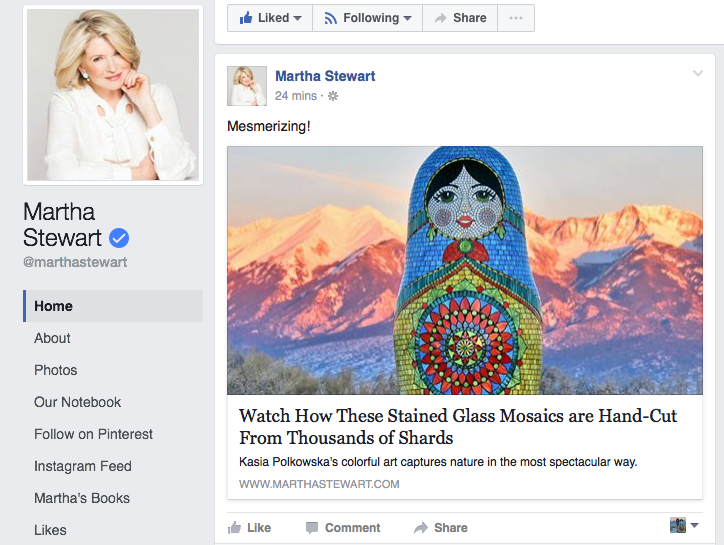 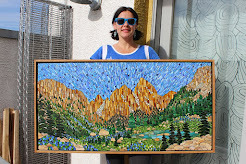 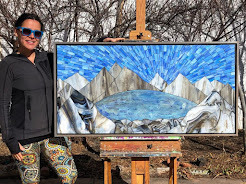 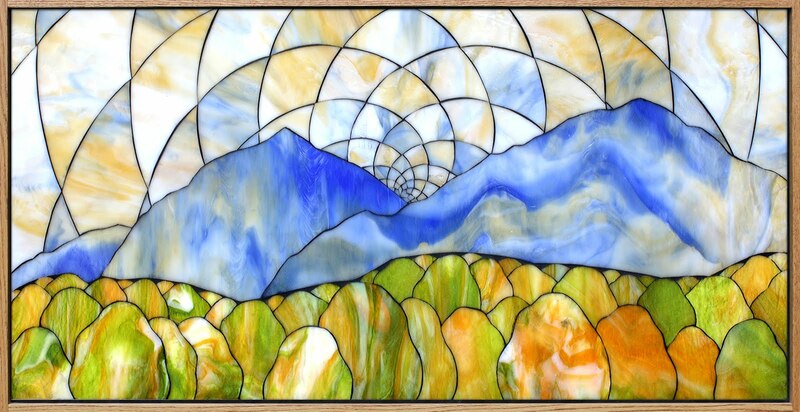 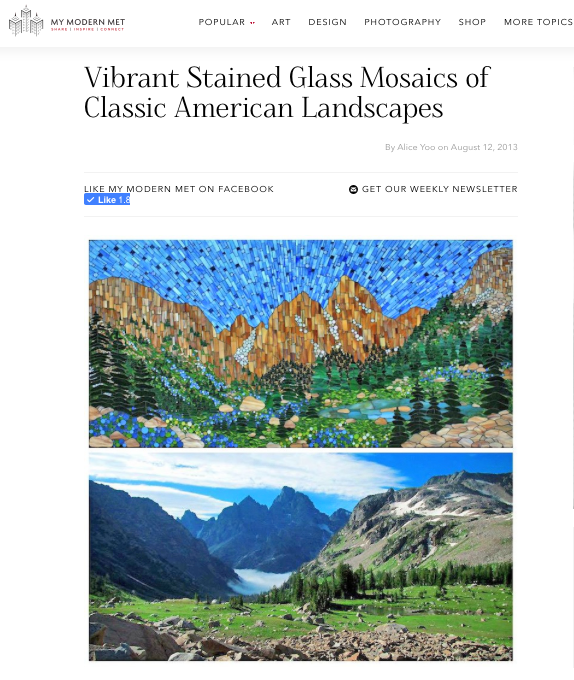 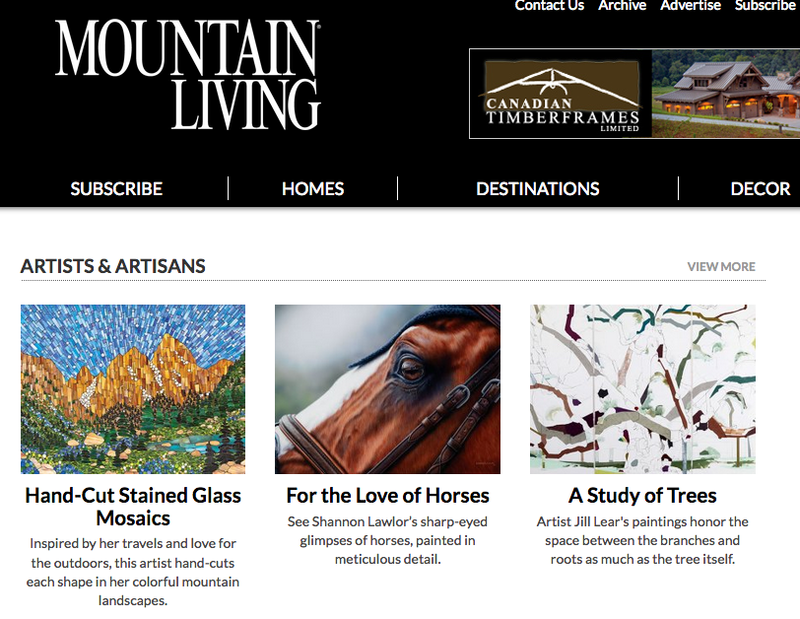 I feel so excited and privileged to have my work beautifully displayed among not just fine mosaics but also incredible stained glass windows created by renowned world-class artists such as Tiffany. 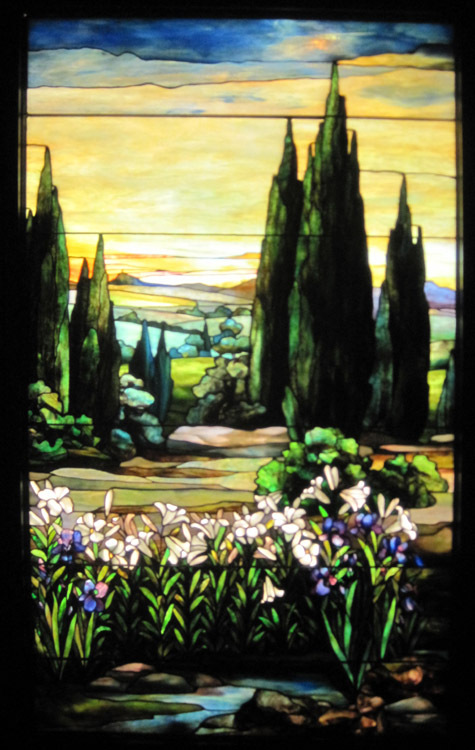 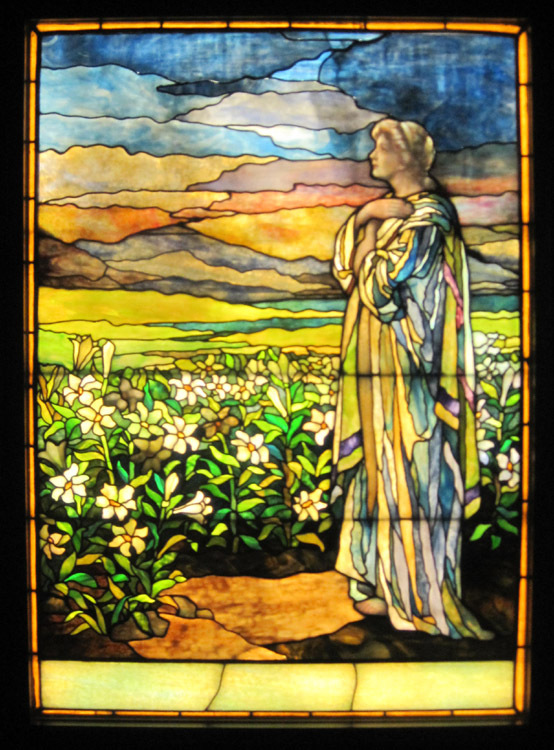 Above are three of Tiffany windows which are displayed at The Smith Museum of Stained Glass.